Musk Proves To Be The Man After All As He Shuts Down Tesla And SpaceX Facebook Pages - Will He Shut Down Instagram Too? 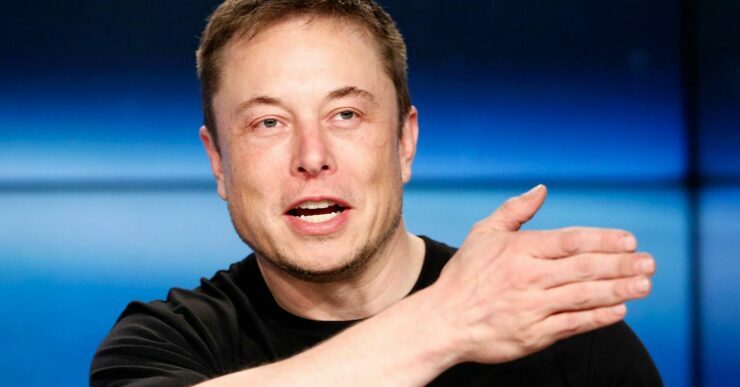 Musk Proves To Be The Man After All As He Shuts Down Tesla And SpaceX Facebook Pages – Will He Shut Down Instagram Too? Very often we come across tweeting backlashes, challenges and what not in the lives of celebrities. Elon Musk is a very interesting person to follow when it comes to his tweets as they have a certain quirk about them. A few of his followers challenged him to delete the facebook pages of his companies. Musk accepted the challenge and removed the pages. Both these facebook pages are now inactive and have around 2.6 million followers. This must be a huge setback to many of his followers and to Musk’s social media manager. This genius inventor was in the midst of a tweet storm this afternoon where he responded to Signal’s Brian Acton, co-founder of the Facebook-owned WhatsApp. This tweet had the hashtag #deletefacebook. Musk raised the query ‘What’s Facebook?’. A follower replied that if Musk was ‘the man’ then he should delete the companies’ pages. Musk claimed that he wasn’t aware that they had any pages and then said that he would. Someone showed him that the facebook page for SpaceX existed and Musk said that he was seeing this for the first time and that it would be gone soon enough. Someone then asked him to delete Tesla’s page too and Musk commented ‘looks lame anyway’. Musk has now removed both these pages and this comes at a bad time for the social media giant who has faced a pretty rough week. It was revealed that a consulting company Cambridge Analytica worked for Trump’s election campaign and had acquired what looks like data from around 50 million facebook users! Things worsened for the company when users started expressing their concern about their privacy. Musk has taken an anti-Facebook stance but the Facebook owned Instagram pages are still live. Will Musk shut down these too? Will he prove to be ‘the’ actual man’? Well, he answered this and said that he doesn’t mind Instagram as long as the social media app remains independent. Musk was very firm on the point that his companies will not suffer due to removing these pages. He said that the products of his two companies live or die based on their merits alone. He said that they don’t use endorsements to advertise their products and it will not be a big deal in anyway. It seems Musk is pretty serious about this delete Facebook campaign. Will this have any effect on social media giant? Or will it all be in vain?